Malaysia must be one of the most diverse countries in the world. 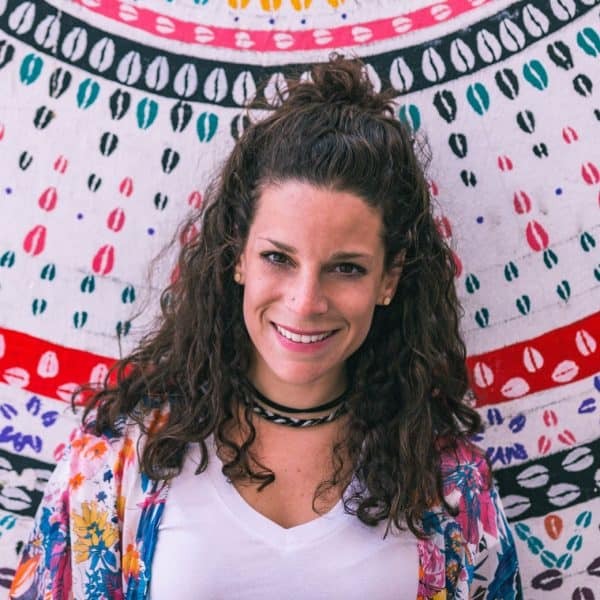 People, cuisines, languages, and religions all gather here from different areas of the world and make up this wonderful country teeming with character, adventures, and discoveries for curious backpackers to unravel. And you won’t have to shell over your life’s savings to experience it either. 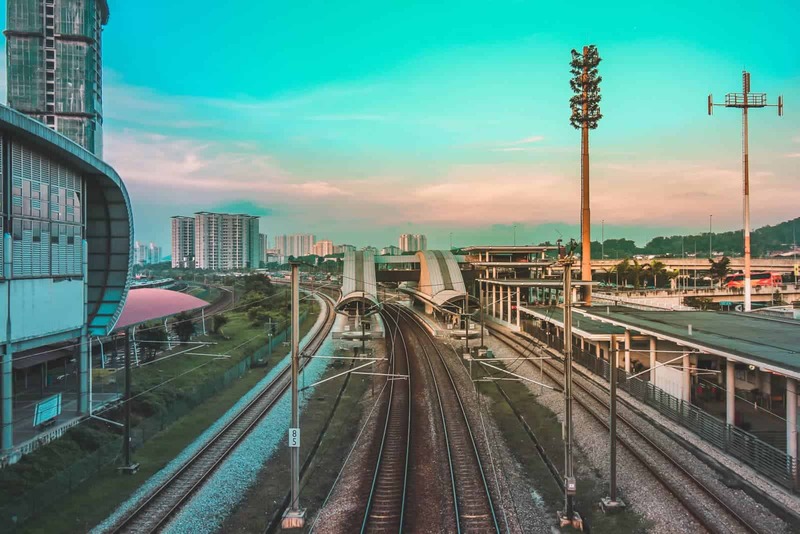 Backpacking Malaysia is very affordable and experiencing it for a few weeks will only set you back a few hundred bucks if you play your cards right. I hope this guide piques some curiosity and encourages you to spend a bit more time exploring. 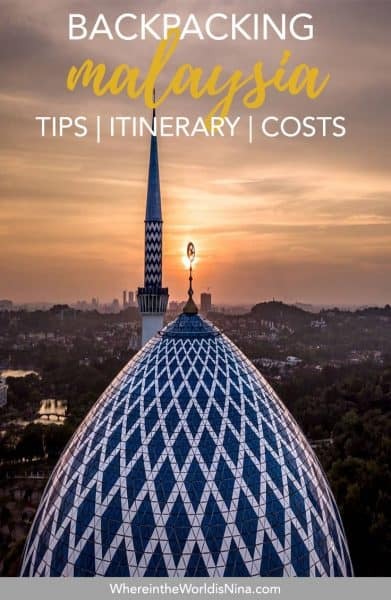 Below is a 2-week Malaysia itinerary, some tips, and scams to watch out for, transportation info and some estimated costs for your travel in the country. 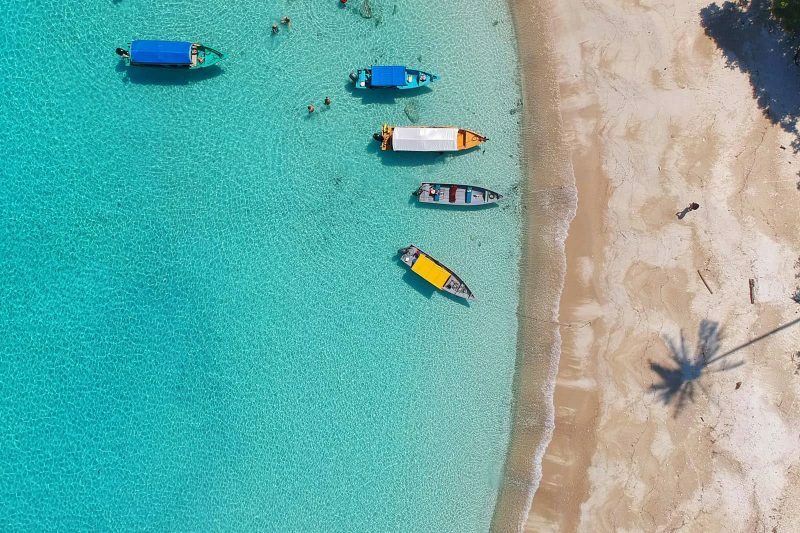 Malaysia, the country at the southern tip of the Malay Peninsula, just across a narrow strait from Sumatra, delicately perched between the Gulf of Thailand and the Andaman sea is lovely, tropical, and highly developed yet beautifully untouched. 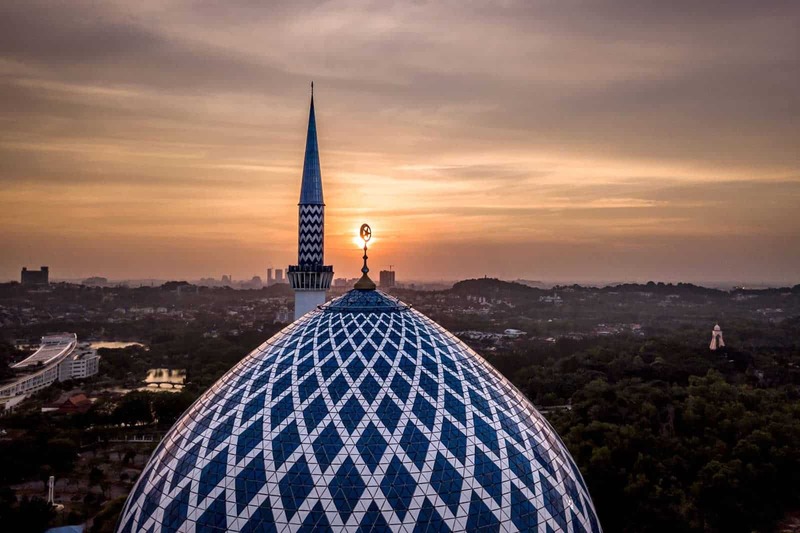 But what makes Malaysia stand out, and what makes backpacking Malaysia so appealing, amongst all of its Southeast Asian neighboring countries is one thing: its melting pot of diversity. Malaysia is home to such an exciting and widely varying mix of cultures from Chinese to Indian, from European to dozens of other Asian ethnicities. Add to that the range of religions welcomed and celebrated–They’ve got Buddhists and Muslims, Christians and Hindus. This land is my land. This land is your land—for real. On just a two week Malaysia itinerary you’ll trek through rainforests, dance through tea fields, and sun your buns on beaches. If you only book one two week vacation this year and want a bit of everything, I’d be hard pressed to find you a better spot. Don’t lose this! Click to pin it now. Most people fly into the international terminal of Kuala Lumpur, the capital. Penang and Langkawi also have domestic and international terminals. 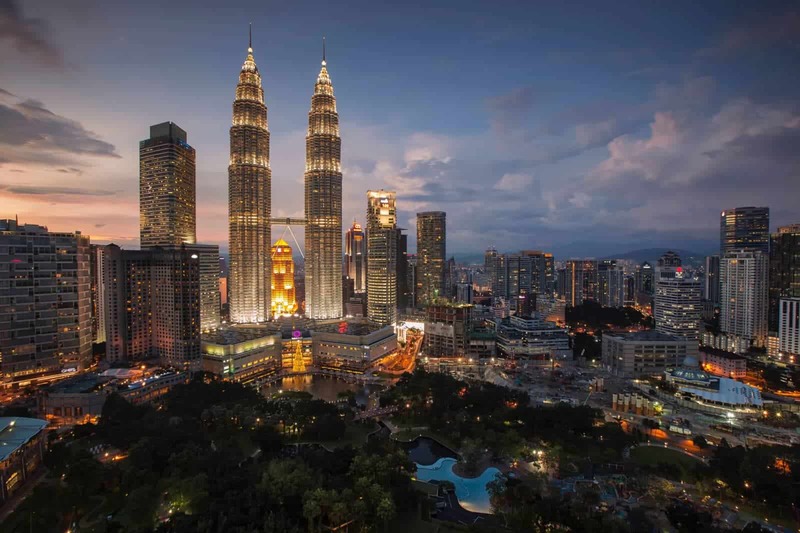 This itinerary begins in Kuala Lumpur, so if you fly into one of your other options, bear travel time in mind. Alternatively, you could fly into Singapore, just south of Malaysia, spend some time there, and then hop a flight or a train north to Malaysia. Also, note that there is two international airports in Kuala Lumpur and MANY people get these mixed up. Double and triple check your itineraries to make sure you know which one you’re flying in and out of. If you’re coming from Thailand, I’d suggest starting Penangang. The trains from Hat Yai, Thailand to Penang, Malaysia re quite comfortable, relaxing, and best of all, very cheap. The only thing it, it drops you off at Butterworth station and then you’ll need to find a van, taxi, or ferry to take you over the bridge to get to Penang. 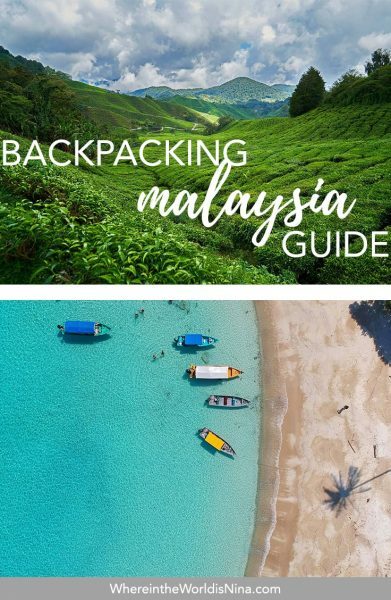 You should give yourself at least two days to travel from here to there and there to here if you want to fit your backpacking Malaysia trip all into two weeks. This 2-week Malsyai itinerary allows for some padding and depending how cheap (aka slow) your transport choices are will determine how much extra time you’ll need for transportation. When we talk about diversity, culture, and the melting pot that is Malaysia, Kuala Lumpur is where you will get all of this in high concentration. You are in this big, bustling, thriving city to soak it all in. If you’re into heights, you have to check out the Petronas Towers, twin towers that boast the title of tallest twin towers in Asia, with a bridge that spans the distance between the two. And then the Kuala Lumpur Tower, where you can sit 335 meters above the ground on a glass floor, looking down at the city and its wonders with seemingly nothing beneath you. Eek! 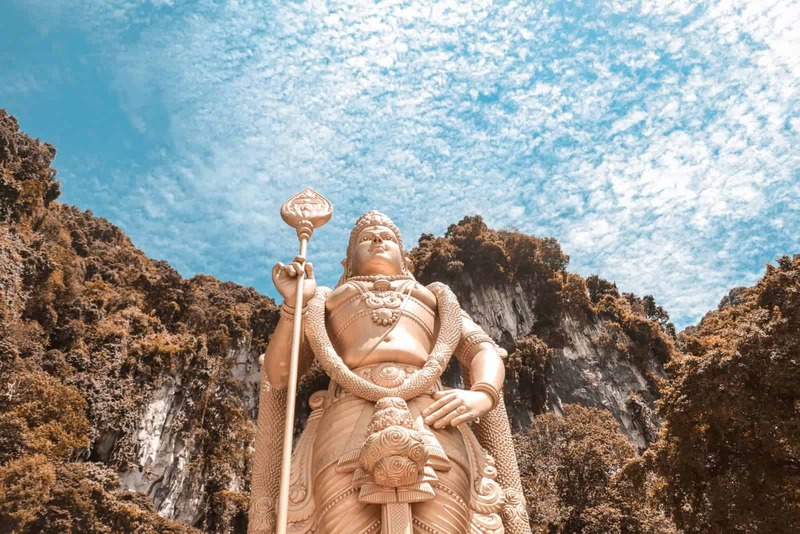 For a bit of natural history on your Malaysia itinerary, you can head just outside the city to the Batu Caves, limestone cliffs that include caves and carved cave temples. You can check out wild monkeys and bats while you’re there. And of course, you know I’m going to tell you to eat street food! Hutong is a food court housed in the Lot 10 mall is one of the best around. 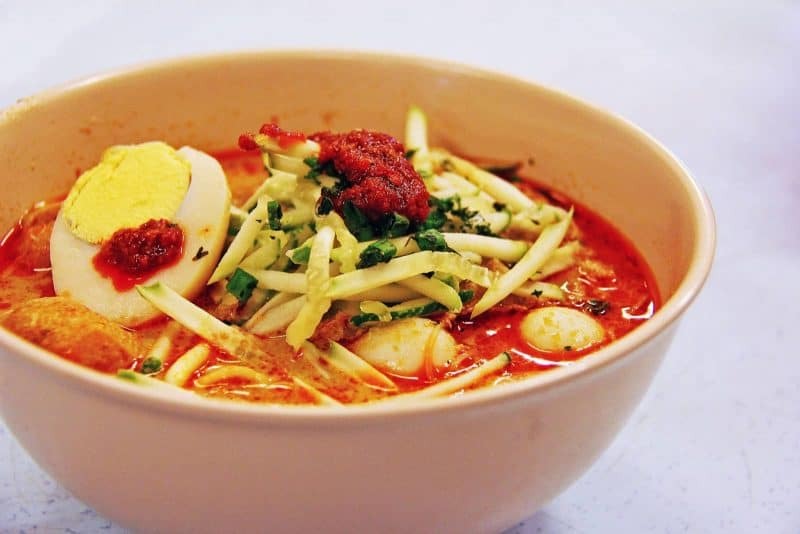 You can engorge yourself on the wide variety of food offered across Malaysia that has come to have its flavor distinct from the cultures they originated from. Personally, my favorite thing to eat in Malaysia is all the Indian Food. Being vegetarian and living on fried rice and noodle from being in Southeast Asia so long, the Indian food here was a welcomed break from the standard Asian fare I was used to. Give me all the naan! Alright, you guys come here for the truth, and I’m going to give it to you: I did not fall in love with the Perhentian Islands. However, I will say that upon reflection this could very well be because every single person I know built it up so high before I got there that Perhentian Islands was bound to fall short in my estimation unless it literally shot butterflies and rainbows from every corner and had a beach full of puppies for me to cuddle with. It could also be because I have traveled extensively for years and It’s not easy to blow me away, especially when it comes to beaches. Yes, the reef sharks saved my visit to the Perhentian Islands from being just “OK.” I would go again just for the experience of getting to swim with these super docile and gentle black sharks along the coral reef in crystal clear blue water. It was gorgeous. Oh, and there are turtles too! Let’s also just make sure you understand this was a personal opinion, I’m including this on my Malaysia itinerary because almost everyone I spoke to loved the Perhentian Islands and chances are you haven’t grown up on the beach and traveled for years like I have prior to visiting, so you’ll probably love them. Side note: There are TWO islands that make up the Perhentians. Basar and Kecil. Those backpacking Malaysia tend to stick to Kecil and those with bigger budgets and families usually flock to Basar. Jump on a bike and hit the streets. Why? Two reasons: art and food. The street art is everywhere, it is fascinating, and it includes legitimate artistic murals and what amounts to really good graffiti. Finding all of it could take you days on end. After pedaling like a maniac to hunt down as much street art as you can, you’ll be working up an appetite that will be perfectly and consistently satiated by street food. Eat. Everything. Seriously. Penang is home to awesome good eats found right there at the next stall you hit on your Malaysia itinerary. Trek through one of the world’s smallest national parks, Penang National Park. It’s tiny relative to most national parks, but it still packs a punch with lakes, wetlands, and coral reefs to explore. And at the end of it all, you can head over to Batu Ferringhi Beach for a relaxing cocktail as you watch the sunset. There are so many temples, adorable souvenir shops stocked with beautiful handmade items (and I usually don’t care for this time, but Penang would be the place to get souvenirs!) and little alleyways to make your way down and stumble upon some cute coffee shops. 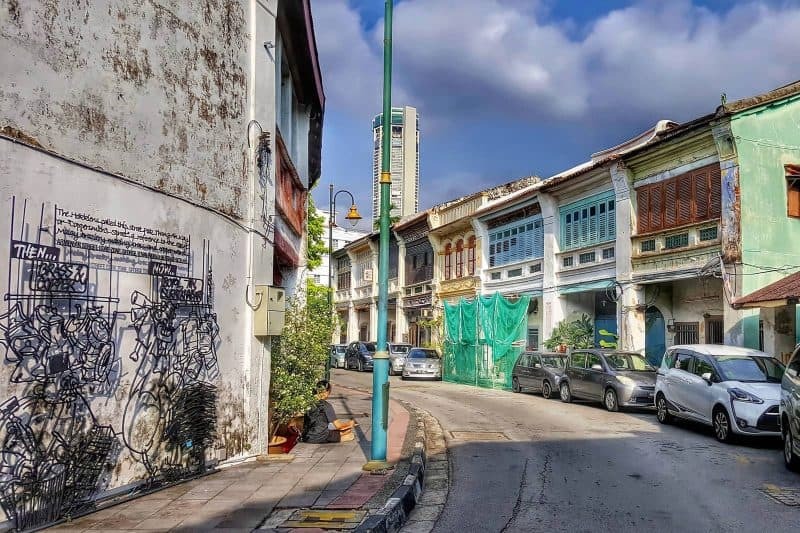 I’ll give you one day of your Malaysia itinerary to spend in the city of Ipoh before rushing you off to the mountains of Cameron Highlands. You will likely need to stop here before heading out to the Cameron Highlands unless you time it just right and can make your way out! 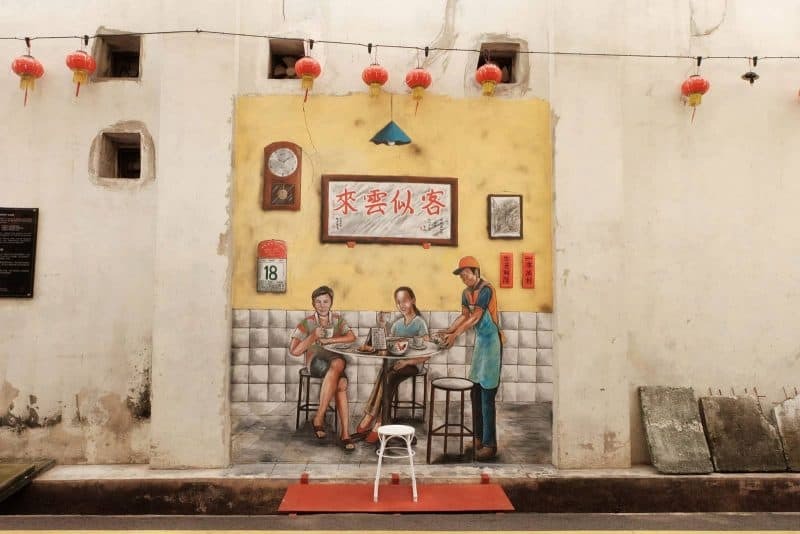 If you have to spend the night in Ipoh, check out some more street art, enjoy the local food, and wander down Concubine Lane. Ahem, yep. Concubine Lane. This street was once where British dignitaries used to keep their mistresses. Now, you can stroll through this pretty little street and shop for knick-knacks and eat local goodies. I stumbled upon this area on accident and was looking for a room. Let’s just say my room went at a rate by the hour and I was happy for an early check out to catch my bus to Cameron Highlands! Yes, if you’ve spent any time in Southeast Asia, you know it can get hot, humid and sweaty in most of these lovely tropical climates. 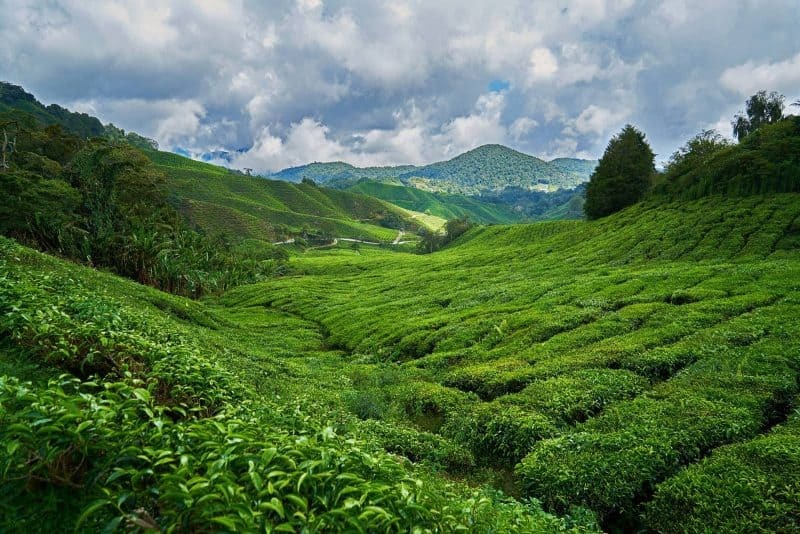 Cameron Highlands gives you a much-welcomed break from all that. I know I was happy to don my scarf and long pants for a change. The Mossy Forest was one of my favorite hikes. It is exactly what it sounds like, a forest covered in moss. And one of the most deadly plants on earth, The Pitcher Plant. It’s a horrible plant that works its death magic very slowly. Local tribes used to use it as a weapon against each other, allowing enemies to erode and die over a month or two of agony—per my guide. Yea. I did not get near the plant. You can also visit a strawberry field, where you can pick and eat your berries, and haul a bag or two back to your hostel. Wander through a tea factory to see how tea is processed, from freshly picked plant to dried, bagged and shipped. While you’re there, take a twirl through some of the richest and verdant tea fields in the world. Finally, take the trail to Robinson Falls. It’s a beautifully scenic walk that was relatively quiet and secluded when I was there and takes you to an abundantly flowing river that practically sings to you while you trek. It’s a super mellow way to end this part of your Malaysia itinerary. I got lost here for a few days simply enjoying life in a quaint little mountain village, drinking lots of tea, and going on trails. There are 14 or so trails that snake around the village. While here, you can just pick up a map almost anywhere and then use Maps.Me to make your way around. I’ll leave you with this one last note for this Malaysia itinerary… This is just scratching the surface. I’m DYING to go to Malaysia Borneo, that huge island, shared with Indonesia and the country of Brunei to the right of the mainland. If you have extra time, hop over and tell me all about it so I can be super jealous! Most of the food listed here are local dishes, but as you may know now, there are plenty of Chinese and Indian food options as well! Nasi Lemak: Fat rice is how this is translated, and it includes coconut rice, prawn sambal, fried anchovies, peanuts, cucumber slices, and Ayam rending. Nasi Kerabu: Blue rice. You must try it just because it’s blue. But it also happens to be good. Served with fried chicken, eggs and fried keropok, you get a little bit of everything. Assam Laksa: Rice noodles in sour tamarind broth. And on top, you’ll get mackerel and veggies with a touch of spicy paste. Yum. Bak Kut Teh: Ak Kut Teh is a pork rib stew with a salty broth that comes in a large pot and bowls of rice. Eat your heart out on this hearty dish. Soupy Lou Shu Fan: Mouse tail noodle soup. Don’t worry. It’s not made with mouse tails. It’s just called that because of the shape of the noodles. This meal is delicious, super fresh, and low in spice. Seriously, don’t miss out on Indian food—naan is life for me, and order a masala dosa! (or like, literally anything.) Vegetarians, rejoice! Malaysia is one of the easiest places in the region to be a vegetarian and I attribute a lot of that to the wonderful Indian food that’s found everywhere. Chinese restaurants are abundant as well and they usually have great fresh seafood options. As with getting into Malaysia, you can fly throughout Malaysia, especially if you are short on time. There are numerous airports around the country, and a quick search on AirAsia will reveal some cheap and easy options for you. You can also take the train. Note, this will be the lowest option, but it is an experience too. The train in Malaysia are quite nice, actually, and are a good choice if you’re heading up to Thailand. TIP: 12go.asia is the best way to book ferries, buses, and trains ahead of time in Malaysia! I’ve taken the night train from Kuala Lumpur to Hat Yai, Thailand many times. If you have a decent amount of luggage, this could be a cheaper option that was paying for all your checked in bags. Choosing a bus is also very easy and reliable in Malaysia. Pretty much everyone I’ve ever been on was clean and decent. The temperature varies between the east and west coasts of Malaysia. The west coast is driest from December to April, and the east coast is driest from April to October. So, if you want to hit that sweet spot, April is a great month to take your chances with. But overall, April to October are the best months. January and February are often good months too. However, these are also the busiest months for Malaysia. Below are some averages for you to work with. Prices can get significantly cheaper and much more expensive, again, these are just averages to get the wheels turning on how much you’ll need to backpack Malaysia. if you’re traveling with someone, prices will be much less as well since you’ll be sharing costs. The prices below are in USD. A good average budget would be around $40 and a $20 budget could be done if you’re on a super shoestring and are very careful. Check the visa requirements just in case! Luckily, many countries are visa-free (Americans, that includes you!) but it’s always important to double check. Dress conservatively. This is a Muslim country. Swimsuits are fine at the beach only. Obviously, cover up at temples every more, as this is the case for any temple in the region. Get Ringgit IN Malaysia, not before you go, unless you love getting crappy exchange rates that is. Unsolicited tours offered by “friendly locals” or usually, taxi cabs, will end up bring a trap as they will try to get you to go elsewhere, usually a friend’s place in hopes of a commission. Only book tours and trips through reliable companies. Klook is one of the best places to book tours through in Aisa. ATM skimming is on the rise here, only use official bank ATMs and don’t pay attention to random texts about “fraudulent usage” on your card, they hope you call their number and offer secure info. Only call the number on the back of your card if there are any issues. Online hackers LOVE people who log into free wifi networks. Don’t do it, or at the least, have a VPN! Petty theft happens all over the world, you can help avoid it by using anti-theft gear when traveling. Make sure to enjoy ALL the different cuisines in Malaysia or you’ll be missing out on one of the best parts of the country. It’s actually really easy to get around Malaysia, many people you’ll encounter will speak a decent level of English. Use Grab to get around if you hate haggling with taxis and want an upfront price, it’s one of the easiest ways to get around Malaysia! Excited to backpack Malaysia? Let us know about your trip in the comments! Click the picture to save this pin for later! I’ve been to Malaysia twice – both times to visit my friend in Penang. I love the diversity of religions and cultures. I think Malaysia must be one of the most diverse countries in Asia.